Doesn’t look like any of the things we mentioned above. 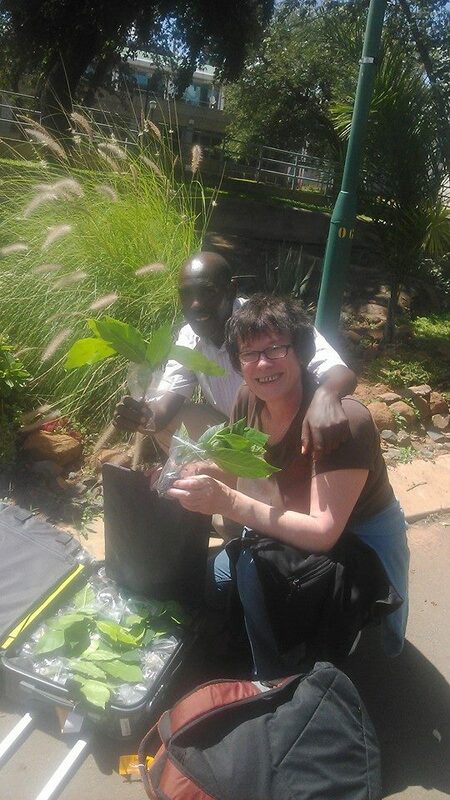 Instead of spending a night out Julie stayed home and prepared sample bags of Moringa powder that has been produced in Chinkonono Village. 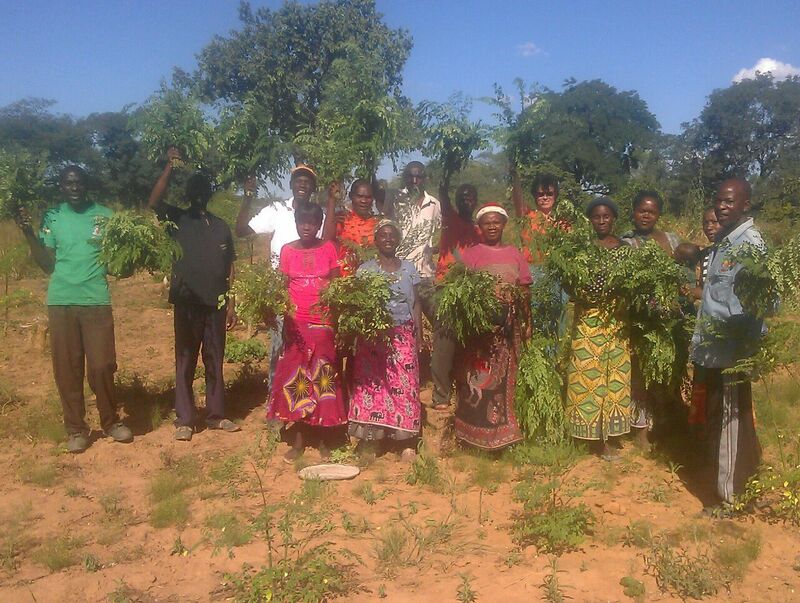 When Bruni was there our team went to the moringa plantations to bring in the first harvest of moringa leaves. 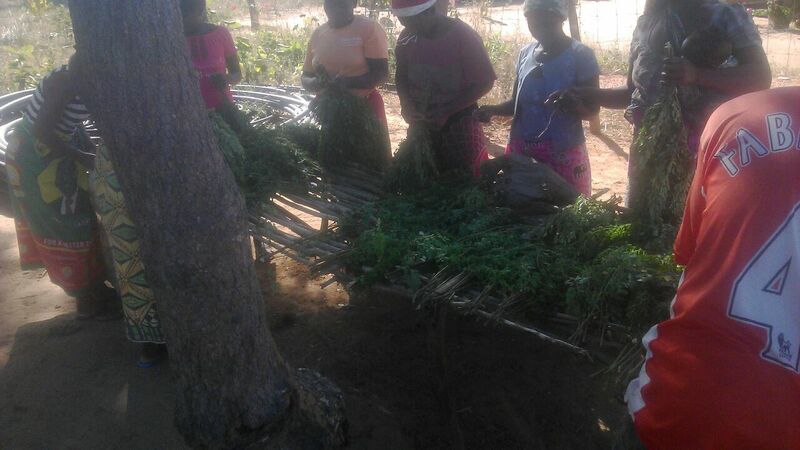 Lots of the leaves were given to families for food. But parts of the harvest was put out to dry. It took about 2 days for them to be dry and ready to be pounded into powder. It is amazing how pure and nice the powder turned out to be. 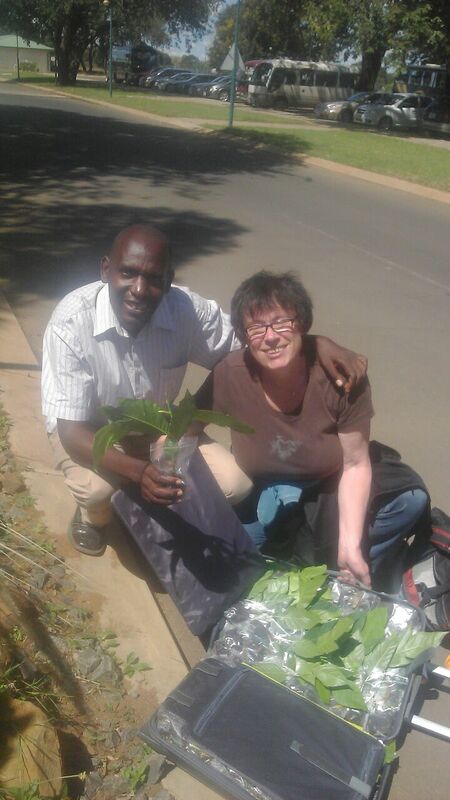 So when Bruni came back from Zambia she had a bag of Moringa powder with her, roughly 1kg. 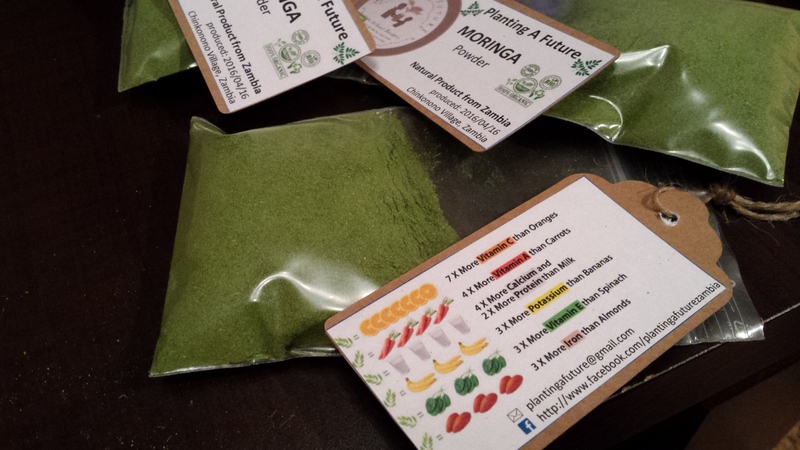 What to do with a kg of moringa powder? Right…keep some for personal use and pack the rest into sample bags to hand them to small shops who might be interested and see if they would want to sell them. Friday night in Berlin…scissors ready? So tomorrow Julie will try talk to the first shops and see if they would take some samples and maybe sell them for little money that would go into the project. So some convincing will be needed. Keep your fingers crossed! Would be a start to set something up and market our products. But we will see…we hope for the best. As things are when you get your organization registered…it also brings some new and complicated things. 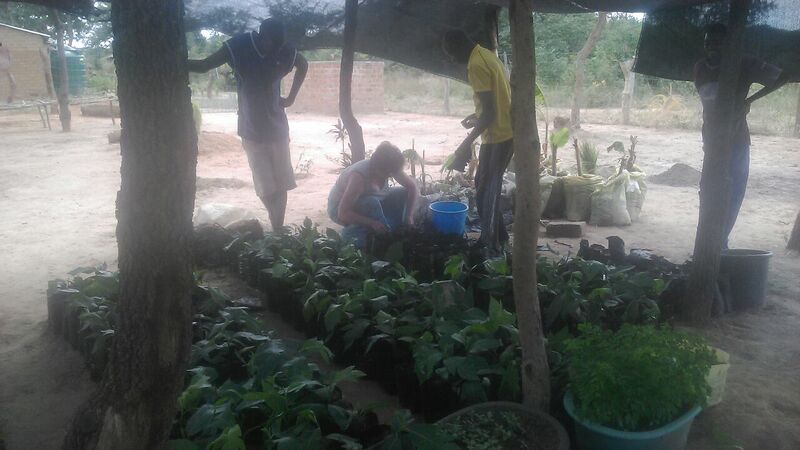 Planting A Future is no exception here. While the majority of our team in the village tends for our plants and Grime does some paperwork, Lloyd went on a mission to get office materials. 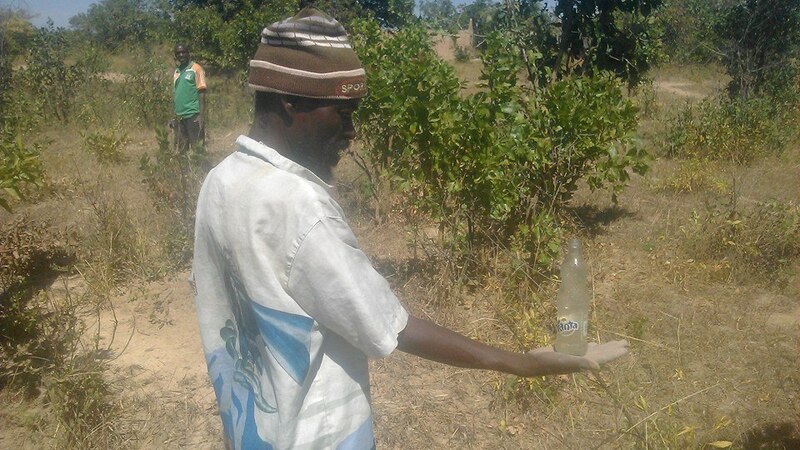 Also we will soon post lots of updates on all the events of Bruni’s visit in Chinkonono Village, especially about the new structures and registration as society in Zambia etc. 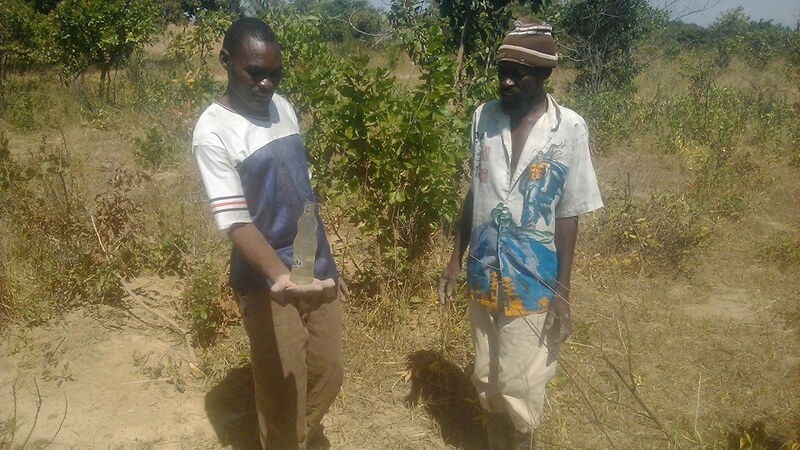 How time flies…almost one week ago Bruni arrived at Zambia and went to Chinkonono Village. 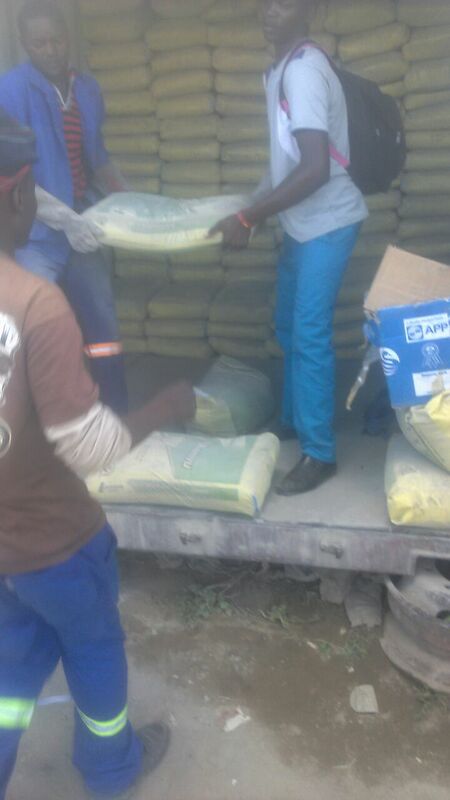 The first 2 days, as you know, Lloyd stayed in Kalomo to deal with some paperwork and organize building materials and cement. But don’t think Bruni was just sitting down and enjoying the sun. Well…she might have done that once in a while, having a coffee 😉 But she also went around and met lots of new people and old friends. Also Bruni visited the construction site of our new building. She had a proper look at what we achieved so far and talked to the guys in charge about the next steps and how to best get the flooring and plastering done when Lloyd comes back with the materials. Obviously everyone is eager to learn from new things from Bruni and she willingly shares all she knows with our PAF crew. But it is a give and take, like everywhere in life. So she is learning a lot of new things too. Check our social media icons in the menu! 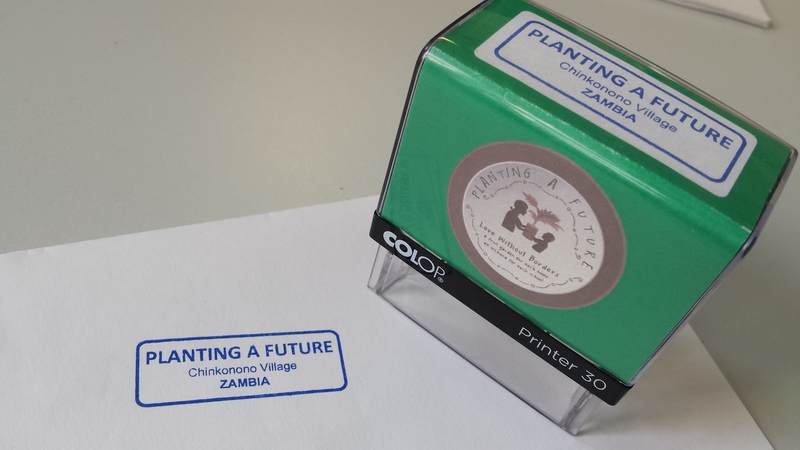 Also we do get nostalgic at times…Julie had this super cool rubber stamp made and just sent it down to Zambia.